MTHFR and Folic Acid - What's the Deal? You are here: Home / MTHFR / Folate vs Folic Acid – What’s the Difference and Why Should you Care? Folate. 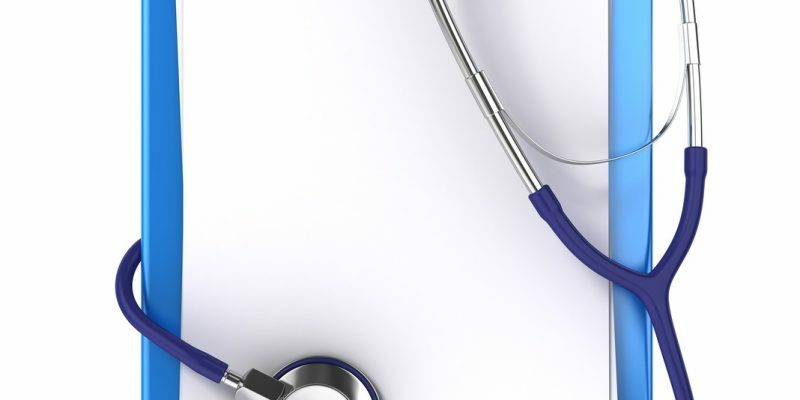 It’s a hot topic for people who are concerned about MTHFR gene mutations. In particular, the relationship between MTHFR, folate and folic acid can be a bit confusing. There is a lot of confusion out there. On some level it makes sense that if you have trouble making enough methylfolate with your mutated gene, then you should take more folic acid so that there’s plenty available. But here’s the problem with that: folic acid is not the same thing as natural folate. Worse, taking folic acid can cause a LOT of problems. Before we go on it would be helpful if you already understood a bit about the MTHFR gene and mutations. You can read my primer on that subject here if you need a refresher. Otherwise, let’s get into it! That is bad for everybody, but especially for people with the MTHFR gene mutation. Unfortunately the advice given to many patients with MTHFR gene mutations by medical doctors is “take extra folic acid”. That advice demonstrates a lack of understanding about both MTHFR and folate. Therefore we should give them LOTS of folic acid so that the enzyme has plenty to work with and we can force it to work harder. This approach simply doesn’t work. It’s the form of folate that can be used to make SAMe, a molecule that powers the work of methylation in your body. For now, think of methylfolate as our finish line in the folate cycle. It’s the form of folate that we want to get into our cells. It’s also what MTHFR patients have trouble making, because it is made by the MTHFR enzyme. The folate in foods like leafy greens and liver goes through a number of steps to be converted into methylfolate. When we eat some lovely lettuce, the folate in that lettuce is good stuff, but it’s not methylfolate. What the body wants to do is take that lettuce-derived folate and make methylfolate with it. Perfect, because this is what we want, too! Lettuce folate, as we shall now call it, must go through a process much like a production line in a factory, called the folate cycle. In a factory, different machines perform different functions along an assembly line to produce the end product. The products are transported from machine to machine along conveyor belts or through funnels and pipes. 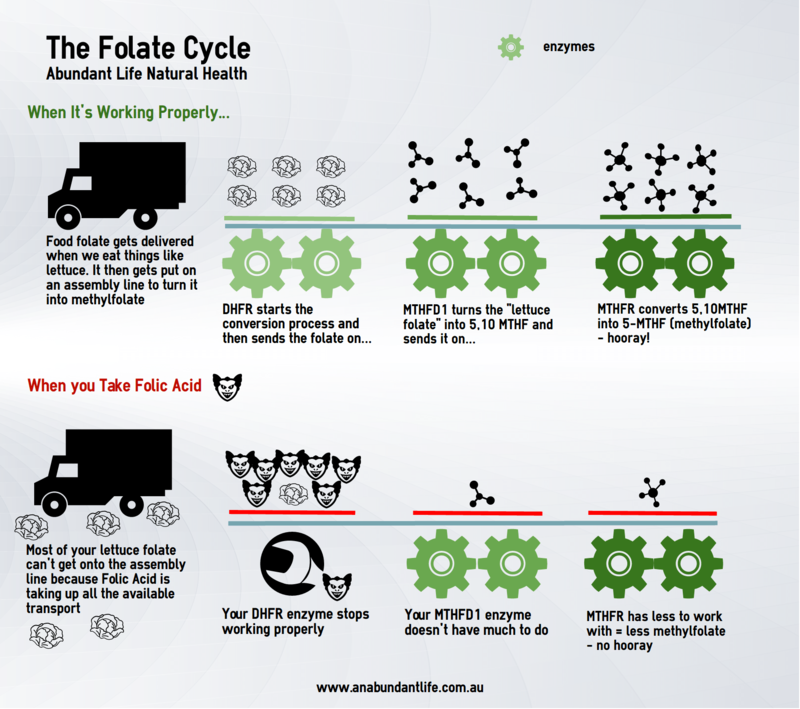 Our folate cycle is like this. Instead of machines, we have enzymes. Instead of conveyor belts and pipes, our body has transporter proteins and carriers that get folate to the places it needs to be (i.e. into the cells). Each enzyme takes a molecule and changes its shape or chemical makeup, and then spits it out ready to move to the next enzyme. The next enzyme does its job, and the process is repeated. In this fashion, our lettuce folate is transformed, step-by-step, into methylfolate. The first enzyme that lettuce folate comes across in this human factory is called DHFR. DHFR stands for dihydrofolate reductase. As the first step in the process, it’s kinda critical. Let’s face it, if step one in a factory goes wrong, who cares what happens in steps 2 through 10!! And here’s the wrap: folic acid blocks the action of DHFR. So if you take folic acid as a vitamin supplement or in a fortified breakfast cereal or bread, you are causing the folate factory in your body to grind to a halt. Even if you eat a truckload of lettuce, your DHFR enzyme is so burdened down by the synthetic folic acid you’ve eaten, that the lettuce folate gets left outside to rot. That sounds pretty bad, right? Well, it is. After DHFR we come across MTHFD1, which does three of the steps in the folate cycle – it’s a machine of many talents. Once MTHFD1 has done its last job, your lettuce folate has become 5,10 MTHF. MTHFR is the last step in our folate factory. What is supposed to happen is that MTHFD1 delivers its 5,10 MTHF to the MTHFR enzyme where it gets turned into methylfolate (5-MTHF) and sent on its way. However, if you have a poorly functioning MTHFR enzyme as a result of an MTHFR gene mutation, it is going to do that job a little slowly. Up to 80% more slowly than someone without a mutation. So the methylfolate that comes trickling out of the faulty MTHFR enzyme comes out too slowly for the body’s liking. Demand outstrips supply. What we CAN do, is make sure that plenty of 5,10 MTHF gets delivered to MTHFR, so that even though it’s slow, it’s got plenty to work with. And here’s our problem: folic acid stops the DHFR machine from working, so it has stopped the flow of lettuce folate through our folate factory. Poor old MTHFR doesn’t have much material to work with! Combine a slow MTHFR enzyme with not much folate to process in the first place, and you’re going to get deficient in methylfolate really quickly. Remember how there are conveyor belts in factories that transport products from one place to another? In our folate factory we have folate transporters, and folate receptors. These proteins carry folate in various forms into cells for use. Synthetic folic acid uses the same receptors and transporters as lettuce folate. And guess what? Folic acid is a bully. He grabs the spaces on the transporters before lettuce folate even gets a chance. He bonds more strongly to the transporters and takes all their places. So, like on an over-booked United Airlines flight, the paying passengers, ahem, I mean real food folates, get left behind outside the cell. So there is even less real folate available for MTHFR to work with. Are you beginning to see the problem? Lots of people say that if you have the MTHFR mutation, you must avoid folic acid. What I’m here to tell you is that EVERYONE should avoid folic acid. Everyone has that DHFR enzyme. Everyone wants to make a nice little pile of methylfolate from their lettuce folate. We all need methylfolate – it’s critical!! And folic acid blocks that DHFR enzyme in EVERYONE. It also hogs the transporters in everyone. Research has shown that the DHFR enzyme can ‘handle’ a certain amount of folic acid per day – about 100-200 micrograms as an estimate. Research also shows that many Americans consume significantly more folic acid than this on a daily basis, just from fortified foods. If they take a multivitamin too, that definitely puts them over the limit. Most of the supplements on the market that contain B vitamins contain this cheaper, synthetic form of folate, so that adds up to a LOT of people with a problem. And we Australians shouldn’t think we’re getting off lightly – our food has almost as much folic acid added as in the USA. What this means, essentially, is that most of the population is consuming enough folic acid to impair their folate factories. Whether or not they have an MTHFR mutation, they are making less methylfolate than they should be. And, they are absorbing this harmful, DHFR-impairing folic acid at a faster rate than they can absorb folate from their food due to the transporter issue. This is not good! You’d probably expect that if all this synthetic folic acid was really bad for everyone, there would be studies showing that consuming folic acid is bad for people, right? Well you’d be right. This study shows that supplementing with synthetic folic acid increases the risk of colorectal cancer. That article makes mention of the fact that synthetic folic acid clearly has different effects from natural folates, and the two should not be considered equivalent. Translation: synthetic useless folic acid was running around in the blood of these women, even though they weren’t being given folic acid in high doses. We noticed that the more of this folic acid was in their blood, the weaker their natural killer cells were. Basically, their immune system was impaired. Put all this together and you get that fact that newborns in a country with lower levels of folic acid in food than there is in the USA and Australia, probably have impaired immune systems due to the folic acid their mothers consumed during pregnancy. Would you like a side of folic acid with your hamburger now? Hopefully you can see that from a biochemistry perspective, eating folic acid makes NO SENSE. Folic acid is cheap, and it has been in use for a long time. Unfortunately, it has taken a long time for its negative effects to become apparent. That’s partly because many studies failed to distinguish between natural food folate and synthetic folic acid. For a long time, science didn’t realise that the two were not the same thing. In addition, cancers and other similar conditions take a long time to develop – sometimes decades. It is hard to detect a link between folic acid consumed as a child and cancer presenting in an older adult. So these correlations with folic acid have gone unnoticed for a long time, though that tide is turning. I would not, however, expect folic acid to be taken out of our food anytime soon. There is a lot of investment in folic acid. Food fortification programs and supplement manufacturers across the world have relied on this cheap alternative to the more expensive natural forms of folate. It will likely be a long time before there is so much scientific evidence of the detriment of folic acid that even these vested interests will have to listen. In the meantime, you need to make the decision about whether you will avoid folic acid for yourself and your family. I personally think that the evidence is strong enough that I can’t just ignore it. My family and I choose to purchase organic (unfortified) bread, avoid breakfast cereals and we make our own baked goods from scratch. Even if it weren’t for folic acid, this would still be a healthier diet choice, as avoiding processed foods is always a good idea. Once you’re used to it, it’s not that hard. And your MTHFR will thank you for it, mutated or not. Thank you for speakIng up. I have been asking my husband to avoid buying folic acid enriched foods and posts like this really help make it simple. Thanks again. If the folic acid is listed in the ingredient list, then it is added folic acid that will be synthetic and it’s not ok. However if it just has folic acid listed in the nutrition information panel but NOT in the ingredient list, then it’s natural folate from the plants and is ok. In these cases it shouldn’t be listed as folic acid, but it often is due to misunderstanding by food manufacturers. The text is so light I can barely see it. Thanks for your feedback Lynne. It’s probably related to your screen settings to a degree as it looks fine on some of our screens, but I admit on mine it is a little light. We have tried to fix it, hope it works for you now. Stop adding Folic Acid to our foods. The UK government is thinking about adding folic acid to our bread. Is it possible they could fortify with folate or methylfolate instead? Unfortunately I don’t think this would be feasible. Methylfolate causes really bad reactions in many people. Folinic acid would be much better but it’s WAY more expensive than cheap folic acid – which is, of course, why they use it. If they did use folinic acid that would be wonderful in comparison, but even then, some people do badly on it, and I would far rather just see bread not be tinkered with!! I was taking a prescribed folic acid supplement for 8 years!! I started because I had 2 early miscarriages and then I found out I had MTHFR. I then carried 2 pregnancies to full term and then just kept taking the supplement because I thought I needed it. I’ve stopped taking it altogether 2 months ago. Can my body recover from this or have I done any major damage to my system? Any advice? Thank you! Great article! Yes you can definitely recover – don’t panic!! B12 helps to use folate and you will have a lot of unmetabolised folic acid built up in your system, so speak to your naturopath or other practitioner about getting an appropriate B12 prescribed, rigidly avoid folic acid in foods and supplements from now on and get lots and lots of real food folate, as well as prescribed folinic or methylfolate – but only if you have a practitioner to guide you. Otherwise better left alone. Good luck! What do you suggest for organic bread that’s not enriched? In Australia all organic bread is not enriched, and most health food stores and some artisan bakeries have good options, but what brands are available depends on where you live. My son has ADHD and we are going to be tested for this mutation. Both had/have the sugar spot on head and dimples on bum. My question is: we see a naturopath and he takes a good branded multivitamin (powder form) prescribed by naturopath. On the list of all of the vitamins it states: Folic Acid 200 microgram. Is this likely to be artificial or actual folate? I’m not sure whether this is an issue and whether to find another multivitamin and supplement with L-Methylfolate or whether we should stick to this one … it has a great variety of vitamins and minerals that no other seem to have . If the label says folic acid then it is to be avoided, unless it has (as 5-methyltetrahydrofolate) or (as folinic acid) or (as calcium folinate) or (as L-5-MTHF) or something else after the words folic acid to indicate that it’s actually not folic acid at all. 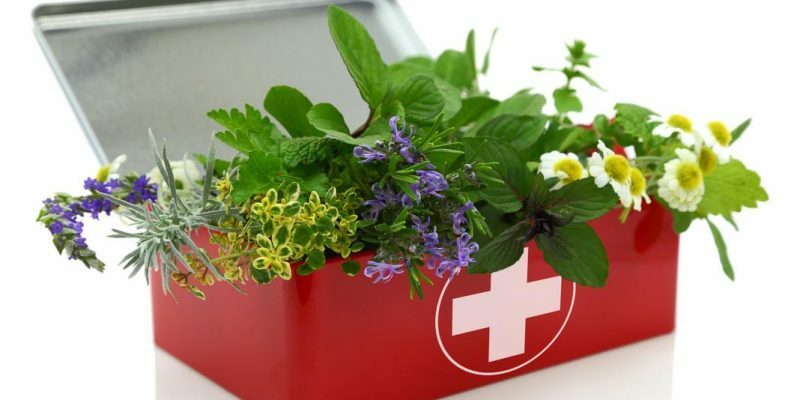 There are many multivitamins that do not contain folic acid that have good variety of vitamins and minerals, but as always, be guided by your naturopath to choose the best. I really like my vitamin for it’s digestive support so I hate to change it. Sorry for the delayed response, I didn’t notice your comment. No, taking methylB12 or other forms of folate doesn’t stop the folic acid from building up and being toxic. In fact, so long as you take folic acid, you won’t absorb any other forms of folate that you take, as my article outlines. There are plenty of other multivitamins that provide digestive support, it’s just a matter of looking carefully at labels. Good luck at finding one! Ok…I read this article but this kind of stuff goes over my head a bit. I am sorry.. I do have the MTHFR gene mutation. I am starting to look at prenatal….so should I take folate or something else or?! In a nutshell, what should I do? I definitely want to be sure I am getting the necessary nutrients for pregnancy. I’m sorry but I can’t ethically recommend that you take anything in particular, however when you look for a prenatal multivitamin steer clear of anything saying “folic acid” on the label. Folinic acid and MTHF, methylenetetrahydrofolate, L-5-MTHF, Quatrefolic, Methylfolate and other words like that are all fine. But if folic acid is listed in the ingredients it a baddie. So those with the MTHFR can still get the needed nutrients from those forms? Or is that too much recommending to be ethical? 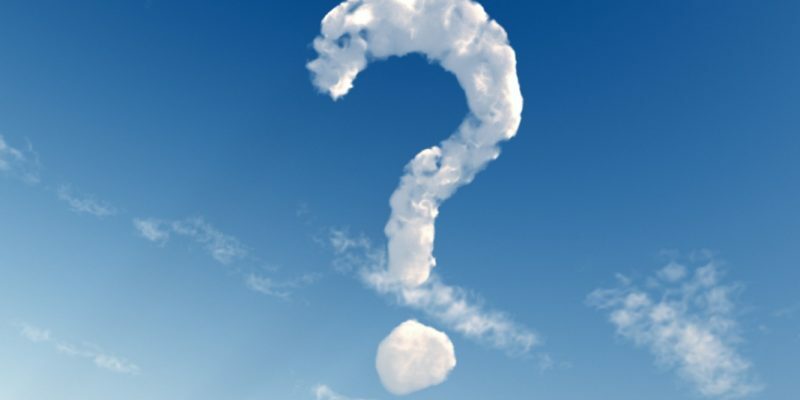 I don’t trust a doctor to know about the gene mutation…do you know what kind of practitioner I should look for that would know the proper information? Great article. Thanks for writing this information for us! Yes they can. If you can find a genetics-savvy naturopath or nutritionist that is your best bet for a good practitioner. That will be easier if you are in Australia! I just started folic acid b12 from standard process. It’s supplements are made from whole foods. Im treating fibro with a naturopath and just started down the gene mutations road because i am symptomatic. However i think it is making my nerve pain worse. Do you know if folic acid even from a natural source would cause this? Yes, unfortunately the food-based supplements are manufactured in such a way that the natural folate present is chemically converted to folic acid. Not a process I understand, but I got that info straight from a biochemist who worked in the area. Hi, thank you for this article, it was super informative as I explore the effects of Folic acid on the body. I was taking 800mcg of Folic Acid a day for over a year to grow my hair out and make it healthy (forehead smack). I suddenly became very ill and experienced extreme fatigue, weakness in arms and legs, was unable to exercise or walk down steps without shaking, I couldn’t handle any extreme emotion as it would take a toll on my body physically and make me tremble. I went through various testings for lymes disease, MS, Anemia, thyroid disorders, adrenal fatigue etc. and everything came back normal. I finally happened upon an article explaining the negative effects of folic acid especially if you have MTHFR gene mutation. I have not been tested for this mutation yet so I don’t know if I have it, but I did stop taking Folic acid and switched to methylfolate and have felt so much better. I am back to running 3 miles a day and able to carry my groceries inside without losing my arm strength for the rest of the day. Folic acid is the WORST and I am thankful for this article that explains the process of folate through the body and warns agains the negative effects of Folic Acid. Wow, that’s quite a story with folic acid – one of the most dramatic I’ve heard. Yes it can take quite a while to recover fully, but it will happen. Well done for working it out! I forgot to ask, can it take sometime for your body to feel completely better from the damage of Folic acid intake over such a long period of time? Do you have a list of foods that contain folic acid? How is folic acid written in the ingredients section of a product? Are there any numbers that refer to folic acid in the ingredient section? I have MTHFR, i take an activated B complex supplement and i take a mega magnesium supplement which includes potassium and other vitamins. I also take zinc as a supplement. This has removed the side effect of fatigue. At the moment my only symptoms are no motivation, and i stay in bed a lot. I eat a lot of bread, pasta and rice. Do you think this is contributing to my symptoms? I read someone say that they take copper as a supplement as well. Do you think my symptoms could possibly be connected to folic acid or a deficit in some other nutrient? Folic acid is always present in a food if it lists folate or folic acid in the ingredient list. This does NOT refer to the nutrition information panel- it will say it in the ingredient list. In the USA, it may say ‘fortified’ or ‘enriched’ on the flour or grain source. That will be folic acid too. Whether your symptoms relate to folic acid or not I can’t say, but a good practitioner should be able to tell you if another nutrient deficit such as copper is at play. I would say that it’s highly likely however that eating a lot of bread, pasta and rice will contribute to your low motivation and fatigue. Not because of folic acid, but because of gluten, which makes the gut leaky and affects a lot of people, and because that is a lot of carbohydrates which is not good for anyone! Energy levels will never be good if you eat a lot of grain. Stick to higher quantities of vegetables, a small amount of fruits, nuts, meats/eggs/dairy (as tolerated) and only small amounts of grain-based foods – folic acid free. Staying in bed may also be worsening your symptoms due to lack of exercise and sunlight exposure. Getting outdoors a bit may be the cheapest and most effective medicine anyone ever takes! I have just discovered that my methylb12 supplement contains folic acid . A mistake as I would never buy it. I take 1000mcg of methylfolate daily for homozygous mthfr. I have been very sick this year with fatigue and chronic psin in all my connective tissues. Help. How can I rid my body of all this unmetabolized folic acid? I don’t think anyone is quite certain how to get rid of unmetabolized folic acid, however the nutrients that are used when your body uses folate will help most – that is largely methylB12, magnesium, zinc. Hope that helps! My daughter, 29, has a folic acid of 20+ and it’s been that way for at least a year and a half. It was discovered in her labs after she had her first and only Grand Mal Seizure. No one wanted to deal with it. FINALLY today they are testing her for the gene mutation. I have read that high levels of folic acid/folate can cause seizures so we are wondering if that was the cause of her seizure. Just wondering if you or anyone has know of someone having seizures due to too much folic acid? She also has fatigue, muscle weakness, has had Lyme disease twice. Any help is appreciated. I want to be somewhat educated when we get her results back if it is positive. (She doesn’t take any supplements). Hi There – sorry to hear you’re dealing with this. I don’t know of anyone I can think of who had seizures due to this, however I do know the molecular structure of folic acid and it would be a suspect for its ability to cause seizure activity, yes. If you have a good practitioner to work with they should be able to help you get the folic acid level down with the right cofactors to use it up. If it does come back positive for MTHFR, just bear in mind that this is only a very small part of the puzzle and the other genes and gut health, environment and diet always play a much bigger part than the MTHFR mutation itself. Some people (millions, in fact) have the mutation without a problem, because they don’t put too much stress on that pathway, but having low chemical exposures, good diet, healthy gut etc.